Indoor courts of the finest construction. A plexi-pave surface with indirect metal halide lighting. 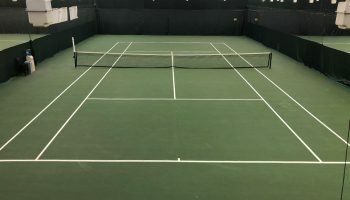 All courts are equipped with water coolers, a seating area, and are individually heated and air-conditioned.Our experienced tennis professionals offer a variety of programs, lessons (private or grouped), leagues and clinics. Full range of programs from tots to advanced players. Various levels of play accommodated. A great work-out followed by singles or doubles play. Copyright © 2019 Northeast Racquet Club & Fitness Center. All Rights Reserved.